Of course because it’s Digi Choosday it is also discount day!!!! and the winners will be announced on 15th September 2015. The winner and top 3 for week 31 can be found at the bottom of this post. We are delighted to announce that Audrey is now part of out team so welcome to the team Audrey, we're thrilled to have you creating with our merry band of crafters! If you would like to join us as a GDT please join in our challenge and add GDT after your name on your entry. Then send us an email to digichoosday@yahoo.com - we are always looking for great talent so you never know, next time it could be you! 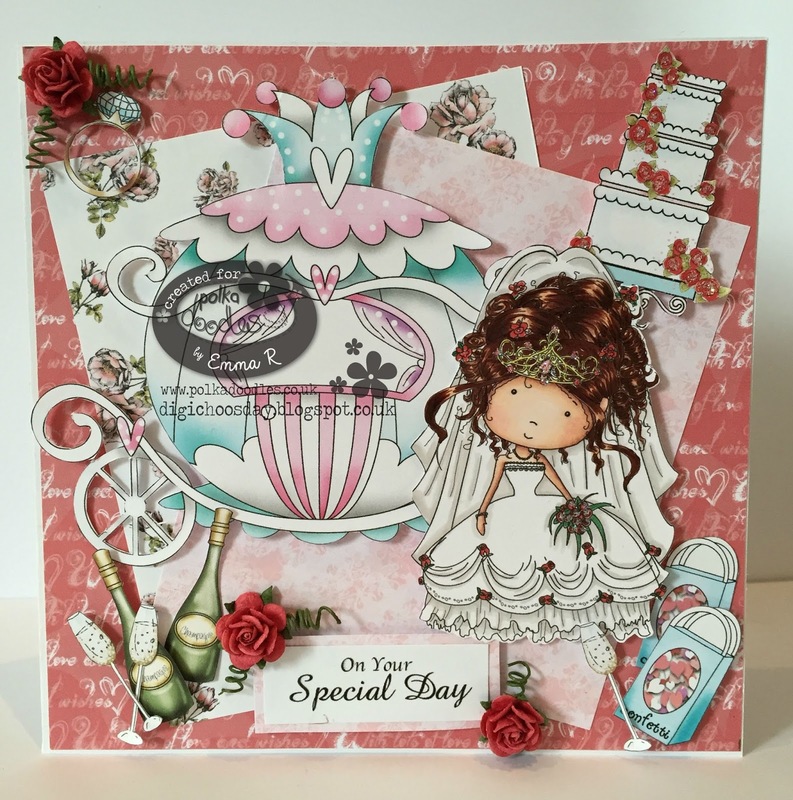 Sheena - For my 2nd GDT make I have used the fabulous Winston Collection. Scatty Jan Ohhhhh two papers , now this took me a while to think about as I adore all Nikky's papers but decided to go for The Serenity Collection. The image is Fairy Kisses , which I have coloured with pencils. 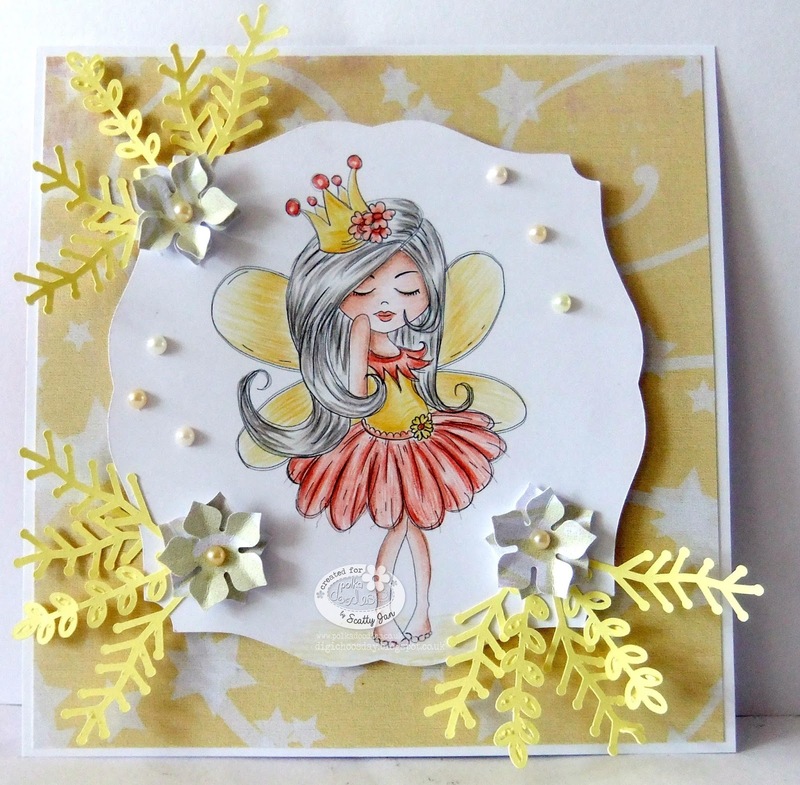 Fairy Kisses is part of the collection or can be purchased as a single digi that you can find here. Finished off with a sprinkling of diamond stickles. 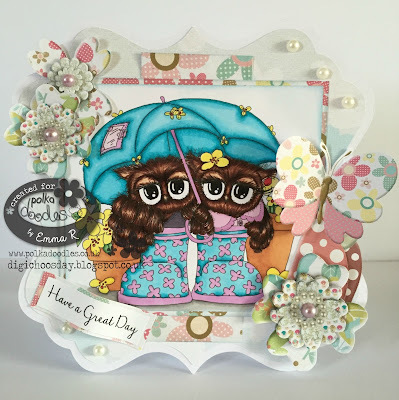 Emma - For my creation this week i have used the super cute Twiggy & Toots Umbrella, Rainy Days which can be found Here. I have coloured them up using Copics & they do look like the Little Owls that we have living in the barn. 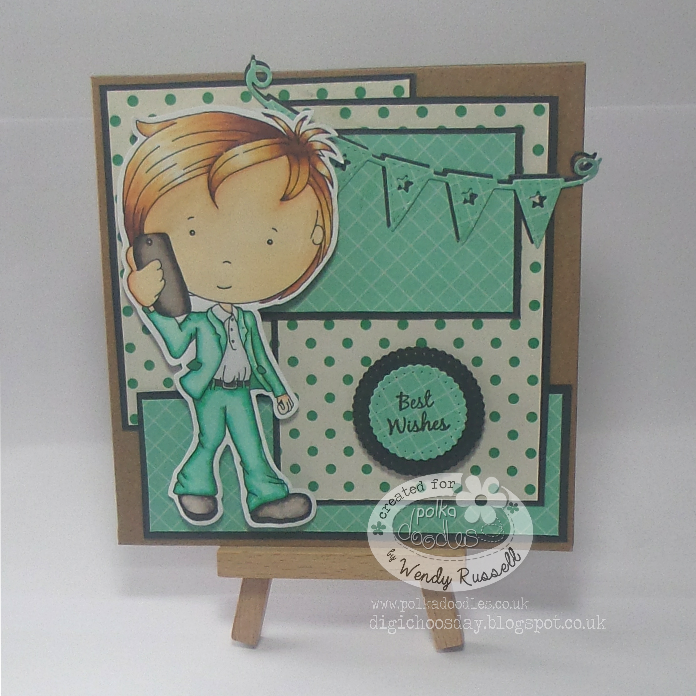 Both papers & embellishments have come from the full Twiggy & Toots collection which can be found Here. 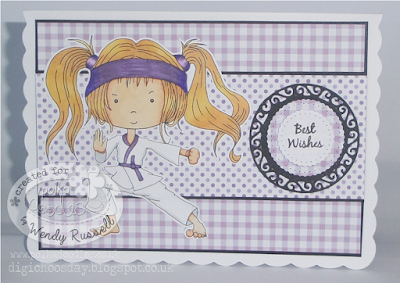 Wendy - My two papers this week both come from the Work & Play 7, I just love purple! My image is the Karate girl from the same collection, but can also be purchased as an individual digi here. Julie - Two papers? It seems I snuck in three, printing my sentiment on a designer paper, also. I can't help myself. I like everything to be matchy, matchy. This adorable, sleepy fairy is Serenity Stardust. She's colored with Copic markers. 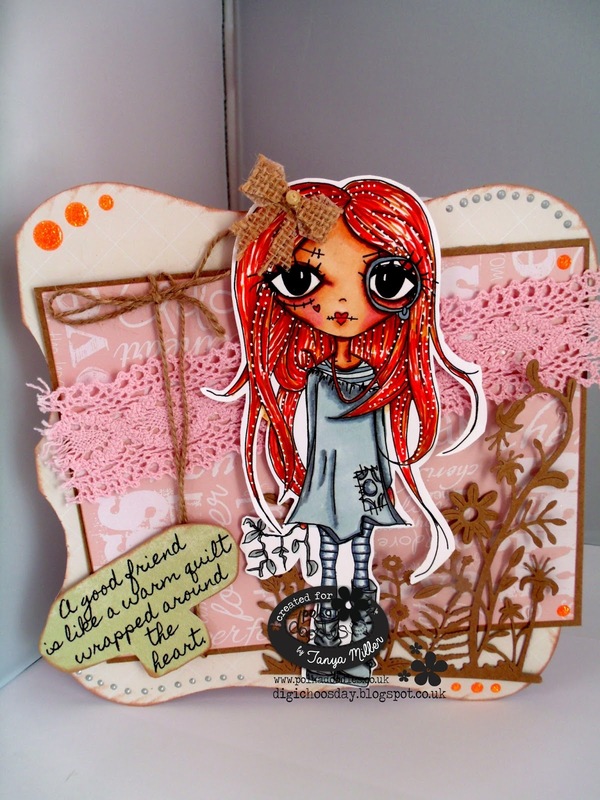 She is available individually here, but truly, the papers are so beautiful! 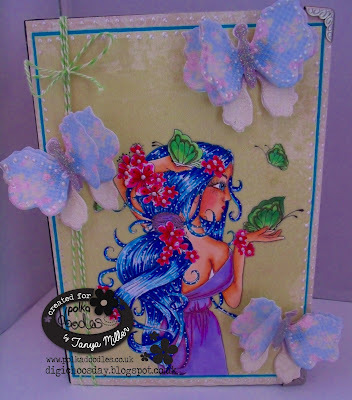 The Serenity Fairy Download collection is available here. There's even more papers to choose from than what I used here. Swoon!The sentiment is from the collection, too! To enter just add your entry using the linky tool below. 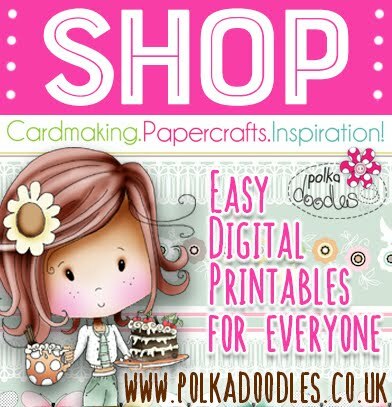 Please email us at sales@polkadoodles.co.uk quoting DCW031001 to claim your prize of £5 worth of downloads from the digi store! Well done everyone and thanks for all the amazing entries, as ever! Thank you all so much for your entries, it means so much to us that you join us each week - we can't wait to see what you have for us on this challenge! See you next time! We are delighted to announce that Aunty Sue and Julie Odil liked us so much when we asked them to Guest Design for us they are now permanent teamies with us whoop whoop!! We are so excited to have them on board full time, so welcome to the team ladies! code expires midnight tonight GMT! So we want to see your male themed makes this week. The GDT’s joining us this week are Sheena McKee and HippieAud. and the winners will be announced on 8th September 2015. The winner and top 3 for week 30 can be found at the bottom of this post. 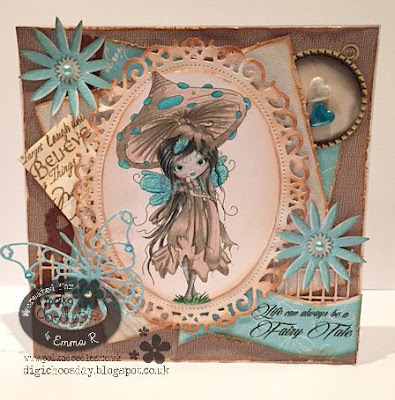 Sheena - For my 1st GDT make I have used the fabulous Winston Collection. I have created lots of layers to add lots of focus. Audrey - I have chosen image from Work and Play Vol 11, Skateboarder. Image is colored with Copics. Design paper is from Boys paper in Work and Play Vol. 11 bundle. The skateboard and helmet are from the SVG files in the Work and Play Vol. 11 Bundle and I cut them out of Design paper from more design paper from the Boys paper. Sentiment also included in bundle and cut out of Boys paper. I also added a couple buttons from Bag 'O Buttons. Scatty Jan How could I actually resist another owl bag , this time with the focus on golf. 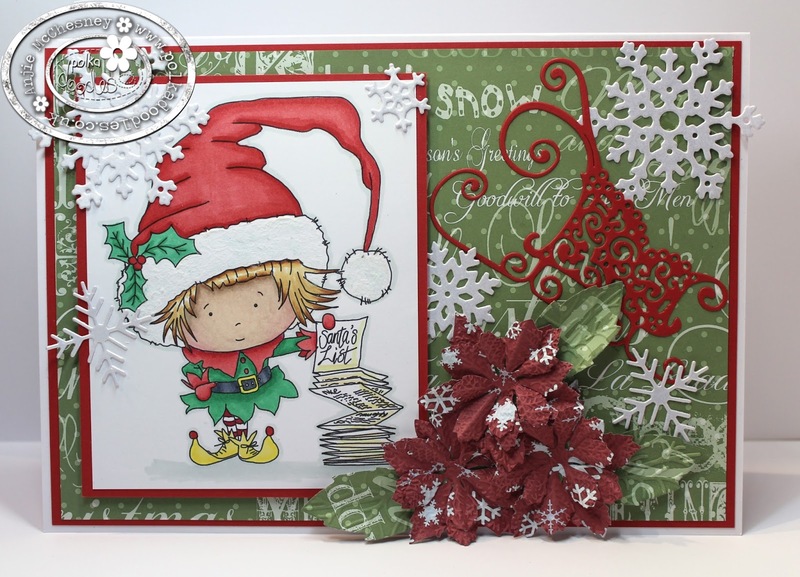 I used the fantastic template from Twiggy and Toots Festive collection, adding all the elements and papers from Work and Play 11. The bag I resized to 65% , still a great size to hold a few goodies! 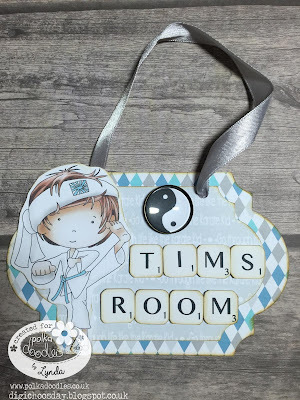 Anjie - This was a cheap MDF oval shape I bought at Summer Crafting and the letters are also MDF but I bought these when I was in New Zealand last year. I used some PVA glue and spread it all over the MDF and used papers from both the Twiggy and Toots everyday, and Twiggy and Toots Festive Fun collections to cover the MDF. I then cut out some trees, buttons and the fence from the everyday collection and glued them in place. I then cut out some owls and made them 3D by adding a few layers. I also put two layers on two of the trees. I also added some faux stitching around the edges of the plaque and the letters. I added some hooks to the back of it and it is now hung on the wall in Nico's bedroom and he and his mum love it. 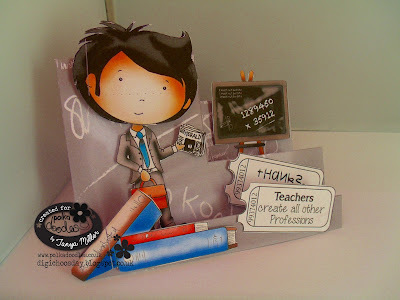 Now a few weeks ago when we had our 'Use An Old Collection' challenge I created a teacher card using the female teacher from the Work & Play 3 Collection. So with that in mind I've now created a male teacher card in exactly the same format but this time using the coloured office guy from Work & Play 2 to make a stepper style card. 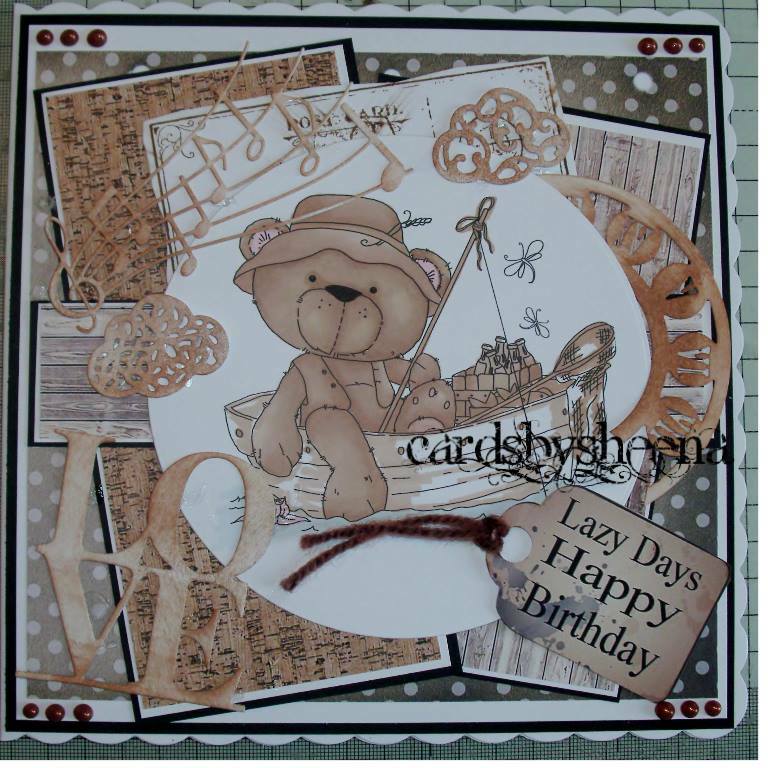 I've used the embellishments and the paper from the Work & Play 3 Collection to make the base of the card. You can also get the office guy as a black and white digi for you to colour yourself. Wendy - I've been a bit frugal this week, when I printed last weeks backing papers from Work & Play 6, I had some left over so I've used it this week too! The Phone/Texter Guy is available on his own here or as part of the complete Work & Play 7 collection. Julie -- this is a big day for me! I was a guest designer the last two weeks here at Digi Choosday. I begged and pleaded so much that this lovely group of ladies are letting me stay! Oh my! I'm very excited to be part of this fantastic team! My card today is in honor of my husband. 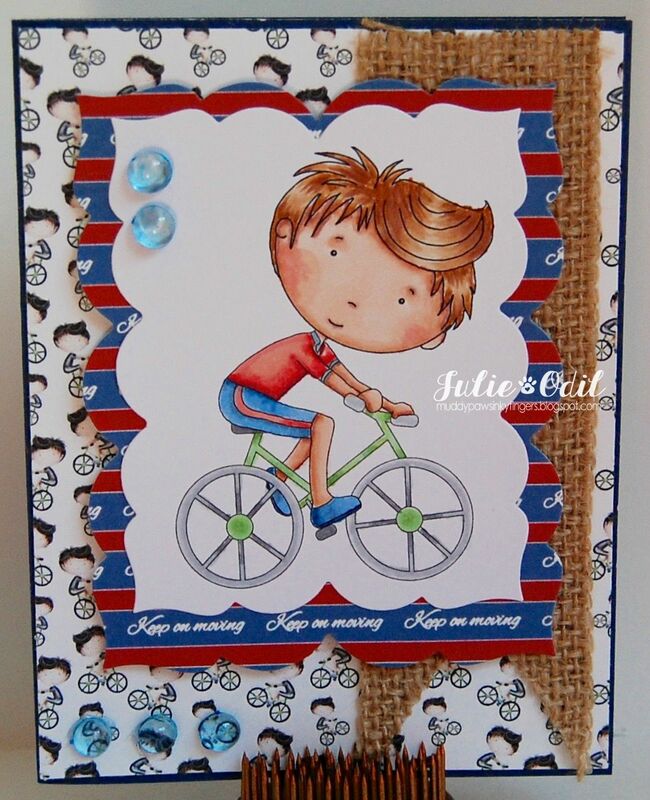 He loves to ride bicycle. His "fun" on the weekends is going out for long bike rides -- 50 to 75 miles. I believe that translates to 100K in British, LOL. I used Cycling Boy and papers from the Work & Play 4 Collection. Monica.- For my project I found this lovely "Diver" that is included on Work & Play 4 Collection. The papers, swimming boys border and this beautiful sentiment are also included in the same collection. 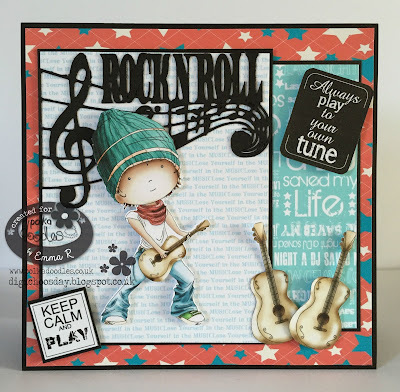 Emma - For my boys card i have used the Guitar Boy from WP8 who can be found Here. 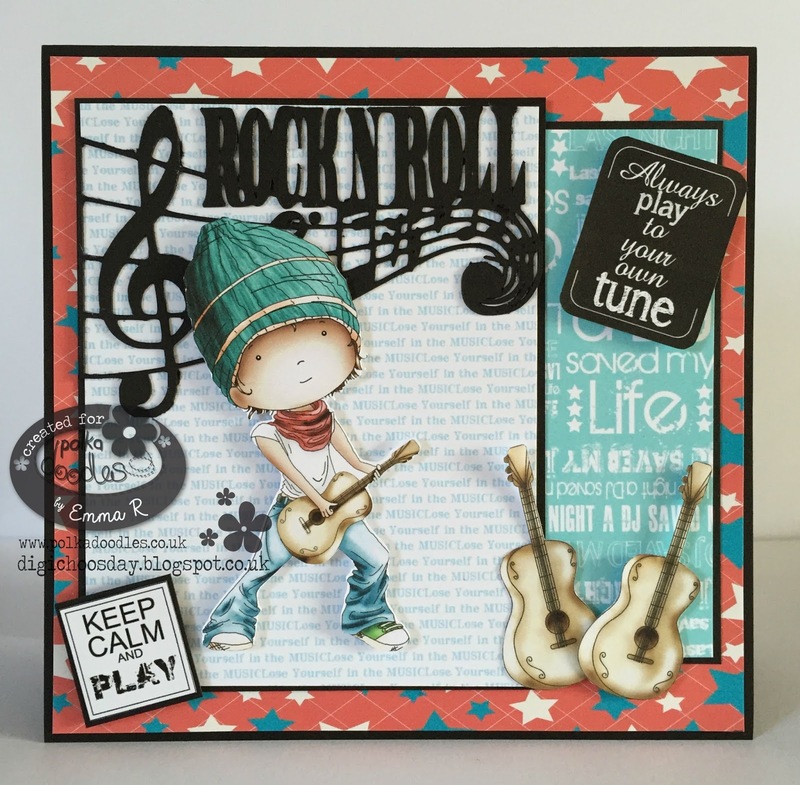 All of the papers & embellishments are from the full Work & Play 8 collection that can be found Here, I have also used one of the cut files from the collection to do the Rock & Roll cut out. 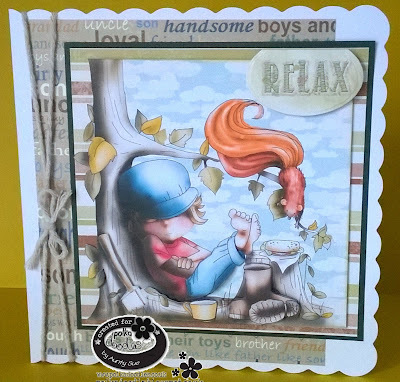 Aunty Sue - Hi everyone for my card I have decided to use this fab scene from Work & Play 10 called Break Time and the stripe backing paper and sentiment is also from this collection. You can purchase the Cd as a download HERE and you can also purchase the image which comes as black & white and also coloured HERE. 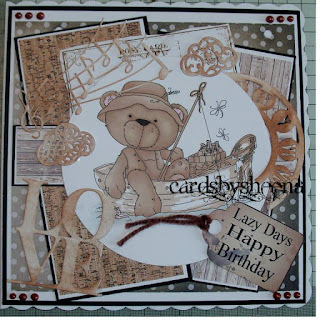 I wanted to show amazing the coloured images are and what fab cards you can make. I printed 2 off and cut some of the elements out on the 2nd sheet to layer up in a decoupage style. I just added some twine to finish off. 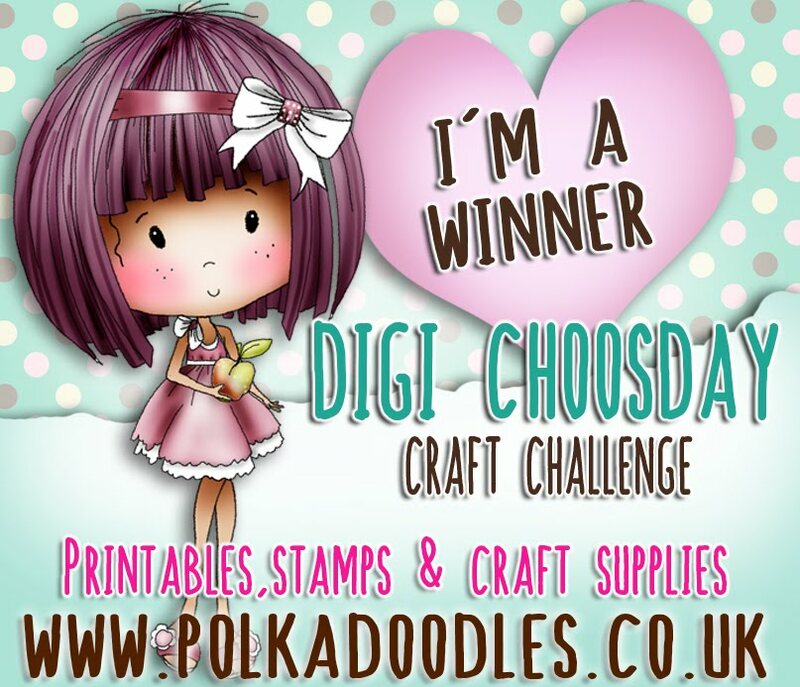 Please email us at sales@polkadoodles.co.uk quoting DCW030001 to claim your prize of £5 worth of downloads from the digi store! on the whole digi store for 24 hours only! So we want to see lots of punched shapes or die cuts on your makes. They can be any brand so have a look in those cupboards and drawers and hunt all those that haven’t used in ages and give them an outing. and the winners will be announced on 1st September 2015. The winner and top 3 for week 29 can be found at the bottom of this post. You know we have been asking for GDT’s to join us for a few challenges, well today we are joined again by the lovely Julie Odil and Audrey. If you would like to join us please add GDT after your name on your challenge entry. 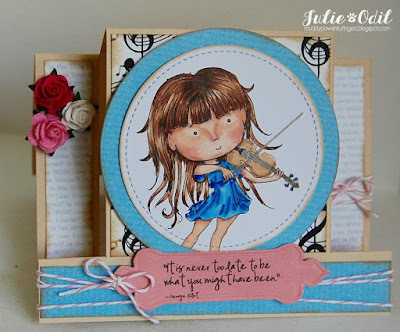 Julie - I'm back with my second GDT make for the team. 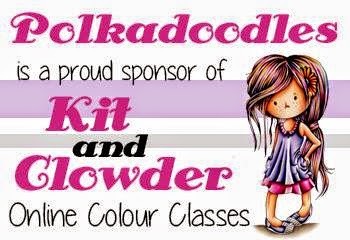 I have used Odella Bow. I used Serenity papers . Odella ended up being a bit on the soft side. 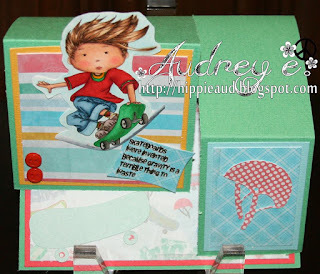 Audrey - I chose Octavia Friendly Hugs for my image, papers and sentiment from Octavia Big Kahuna download. 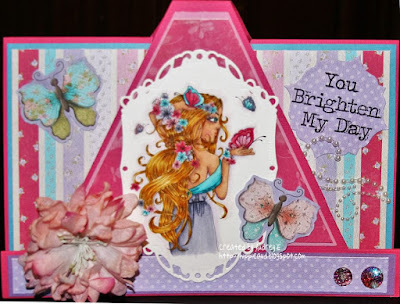 I used die cuts for image, sentiment and all the flowers which I cut from digi papers found in Octavia Big Kahuna set. 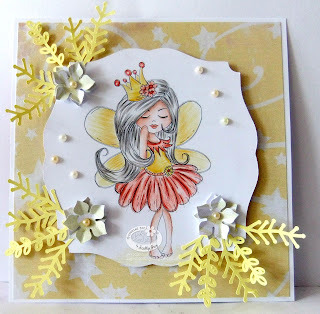 Scatty Jan I have coloured up the lovely Serenity Princess for my card, My colouring was done using pencils - She really is cute, you can buy her as a single digi here, but I used the collection , which contains some lush papers , I love the lemon starry paper it suited the image perfectly - The collecton you can find here. Using a Flower punch and a leaf die and some added pearls to finish. 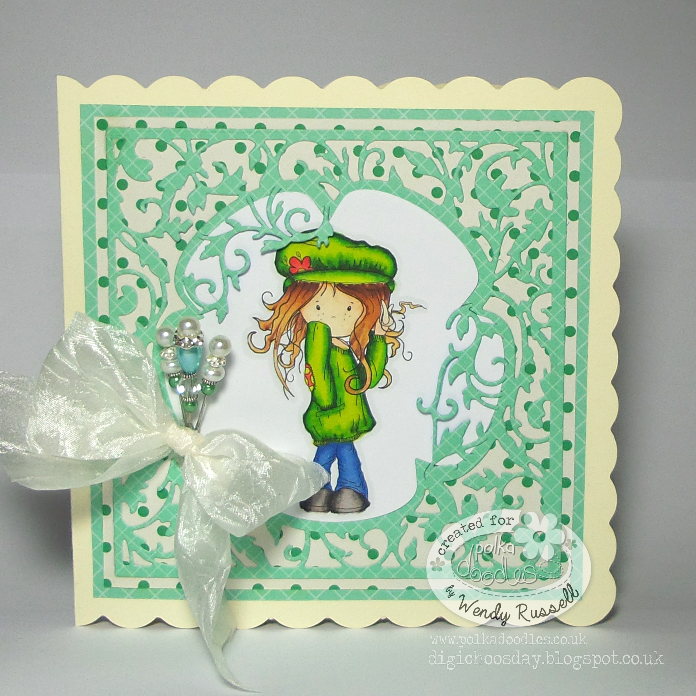 Wendy - For this weeks card, I've used Maddie Twirling Curls from the Pretty Sweet CD collection, you can get Maddie as a digi download here. My die is the Just for You Pansy topper set and cut from papers from the Work & Play 6. 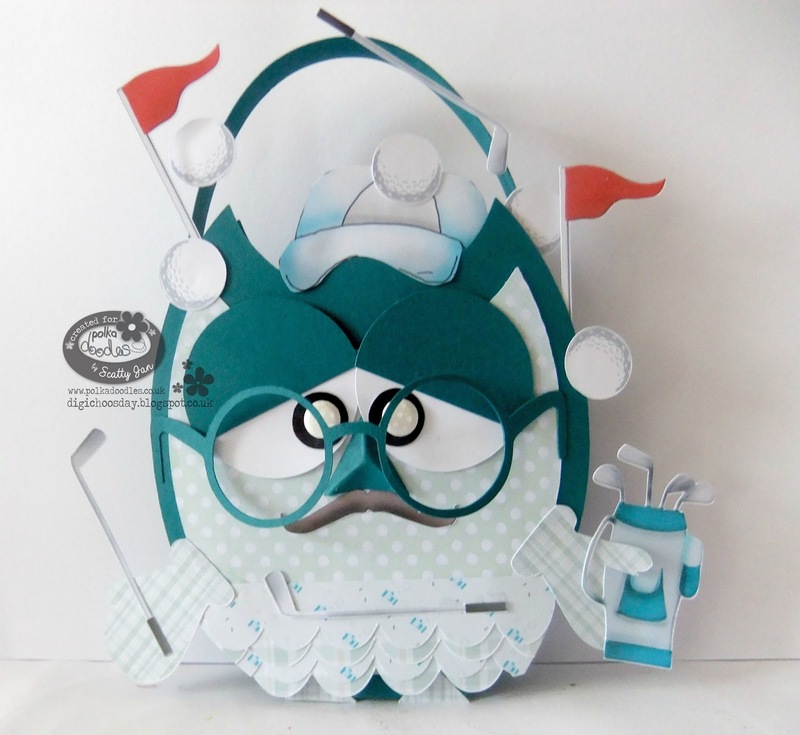 Monica - I have to be honest, I don´t use die cuts nor punches. 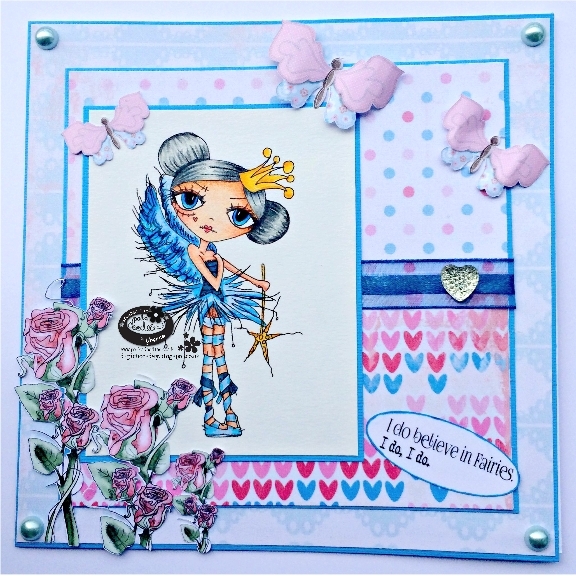 I have used my money to buy a cutting machine and all my die cuts comes from my dearest "Cameo". 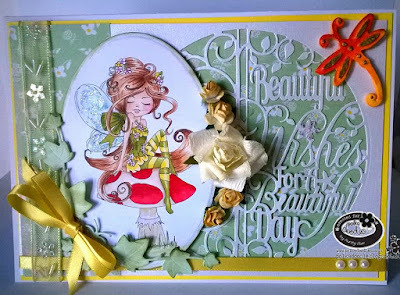 But Nikki also thinks in us, the cutting files fans, and has created stunning files for us -as good as any die cut-. For my project I used the flourish corners and the birdcage cutting files included in the beautiful Eden Collection. The papers, bird and letters to make the sentiment, are also included in the same collection. Tanya - I've been colouring again and really enjoyed working with this Oddella Twig Image and my Graph It Pens. 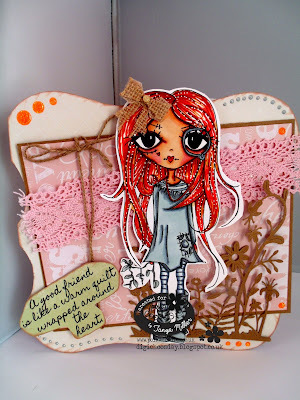 I've used the papers from the Work & Play Love Collection which I mixed it up with Kraft card and twine and orange sparkly dome gems to match Oddella's hair. The die I've used is the Tattered Lace Panorama Grass Large one. 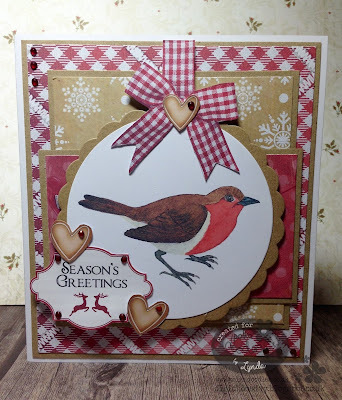 Aunty Sue- Hi this week for my Punches and Diecuts Card I am using Work & Play 5 - Festive Hollibobs which you can find in the shop HERE as a download. Oh wow so much lovely Christmas images coloured and Digi with tons of embellishments and papers. My punches are round the page punch which I used on the Green backing and my Dies are the Tree and Santa and Raindeer. Image is coloured with promarkers. Yvonne - Hello! 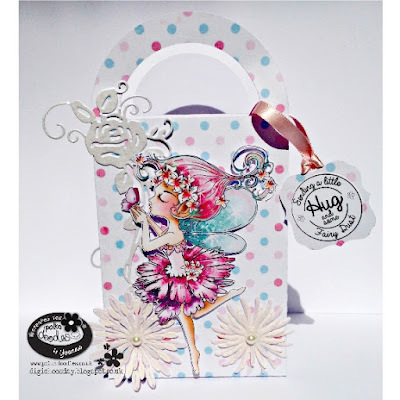 This week I decided not to make a card and opted for a wee gift bag instead. I cut it out with my Silhouette using a paper from the Serenity Collection. Whilst I was there I also cut out Serenity Kisses. I used the pre-colored image which you can only get as part of the whole collection which is available as a Digi Download or as a CD-Rom. 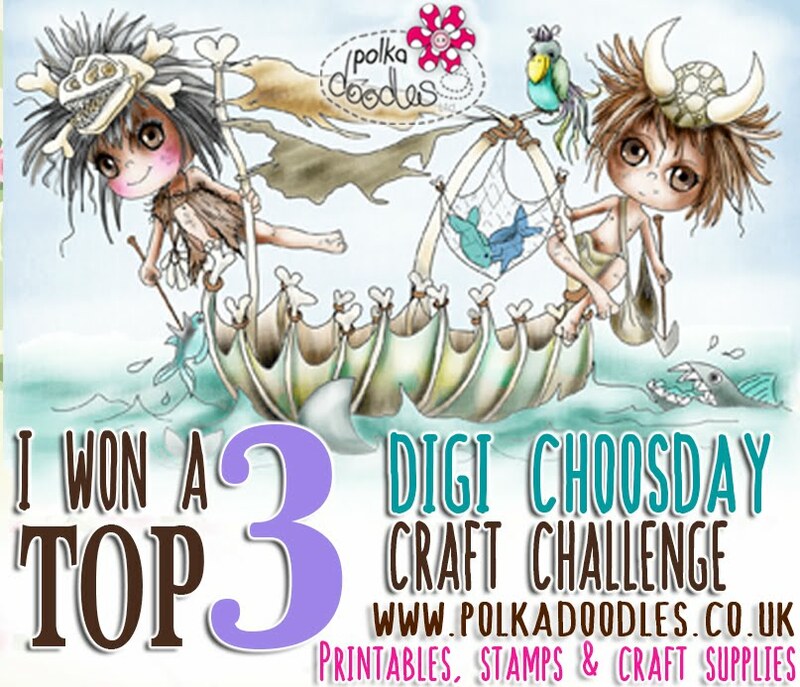 Please email us at sales@polkadoodles.co.uk quoting DCW029001 to claim your prize of £5 worth of downloads from the digi store! Of course it’s Digi Choosday and you know what that means - discount day!!!! but this lasts for 24 hours only so make sure you use it before you lose it!! This will save you 10% across the whole of the download store! Now onto the new challenge! 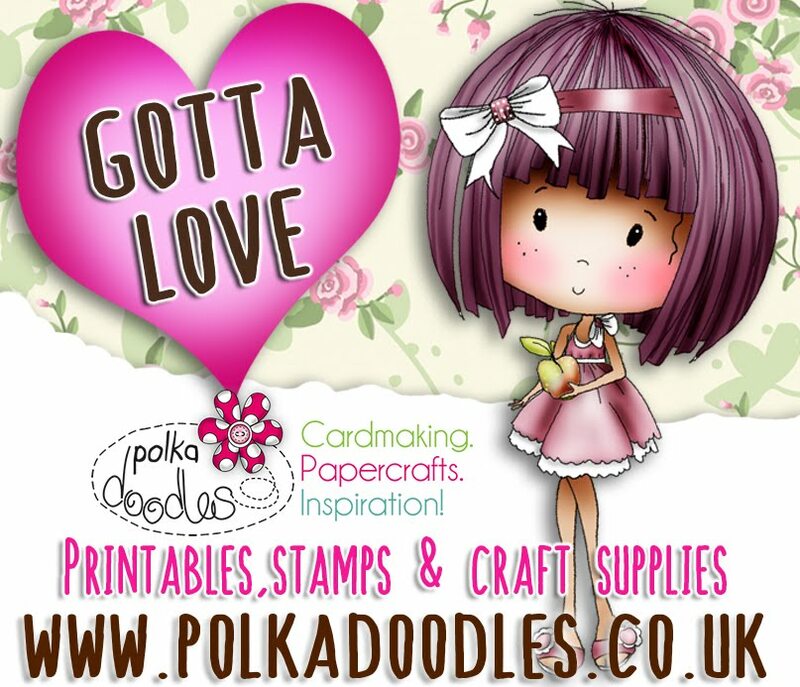 So we want to see lots of lovely embellishments on your makes, whether they are shop bought ones, or hand made ones, even digital ones, we want to see them all. CLOSING DATE IS 18th August 2015 and the winners will be announced on 25th August 2015. The winner and top 3 for week 28 can be found at the bottom of this post. 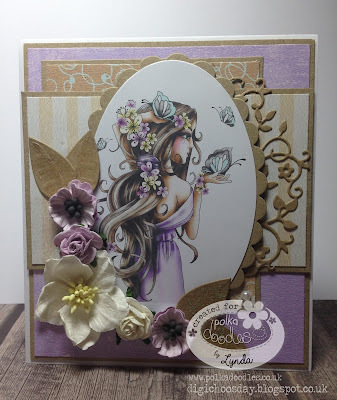 You know we have been asking for GDT’s to join us for a few challenges, well today we are joined by the lovely Julie Odil and Audrey (HippieAud). Julie - This is my first make as a GDT for this team and I'm so happy to be here! I've taken up the violin again after nearly 30 years of not touching it, so I wanted to color this cutie Violin Girl. The free sentiment from the store worked perfectly with this, as did the music papers. Audrey - This is also my first make for this DT and I too am so happy to be here! On my card I have used the Eden Blossoms Image. The papers and embellishments are also from the Eden Collection. 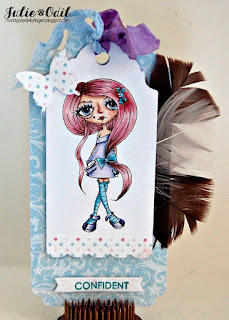 Scatty Jan For my Embelish it card I decided to use the wonderful Twiggy and Toots Festive collection. I love using this collection it really is so much fun and there really is stacks to use on it. Everything on my card is from the collection all that was added was a sprinkling of Diamond stickles, a wee tiny cracker and a large pearl. If you love decorating your Christmas cards you just can not miss out on this collection, there really is something for everyone. Anjie - I decided to use this image that I have had coloured up for a while, it is the Gymnast or ribbon twirling girl. She is also available as part of the Work and Play 11 collection which you can get as a digi download or CD. I coloured her with my Prisma pencils when I had just got them for practice. The papers are also from the same collection as are the flowers and the borders. Monica.-For my project, I´m using cutting files. The dress form and the sewing machine are from Picknix1-All Sewn Up Dowload bundle, as well as the patter paper and the sentiment. I just weld both cutting files. 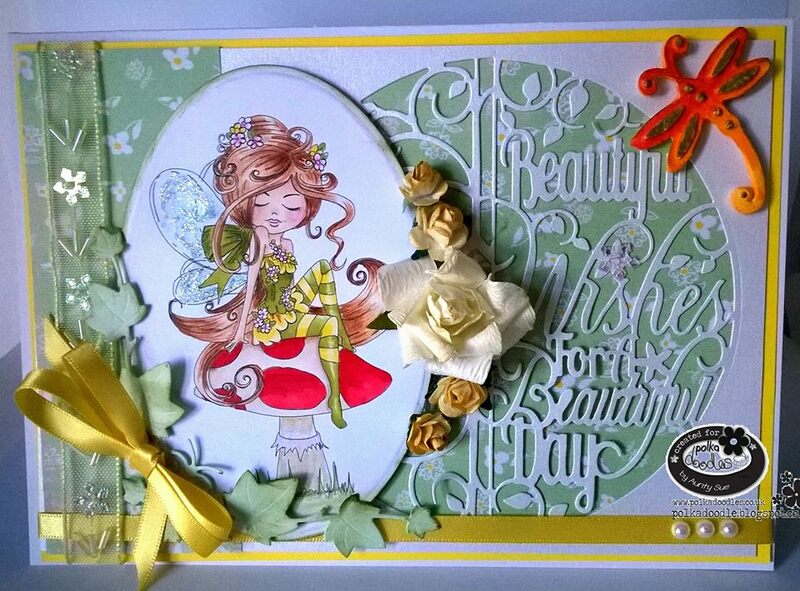 For the flowers, I used another cutting file "Flowers 3"; and for the vines and leaves, I used "Ivy 1". 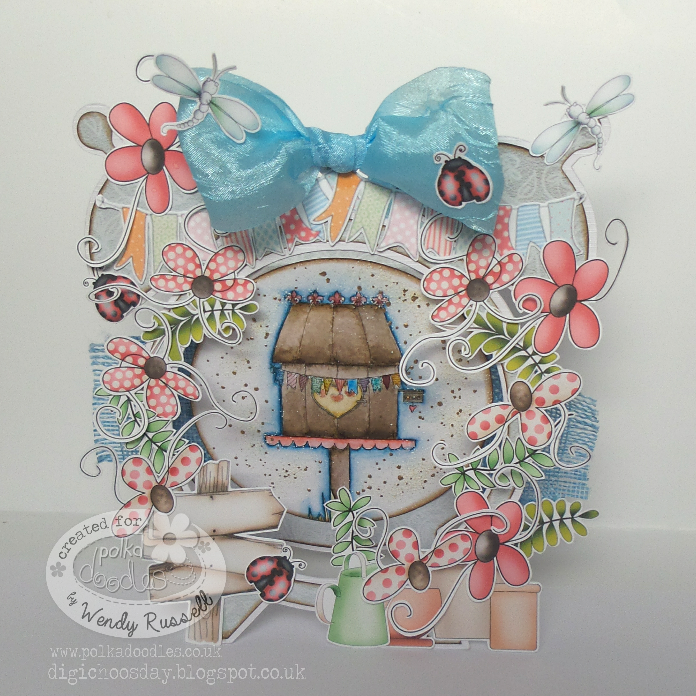 Wendy - For this weeks card, I've used the clock cutting file as the base card and just cut an extra hole through the centre to give an aperture. The birdhouse image is one of the digistamps from the Picnix - In the Garden collection, as are all the flowers, sign, flower pots and bugs, as well as the backing paper. You can also get this collection as part of the complete Picnix 1 and is combined with two other kits. 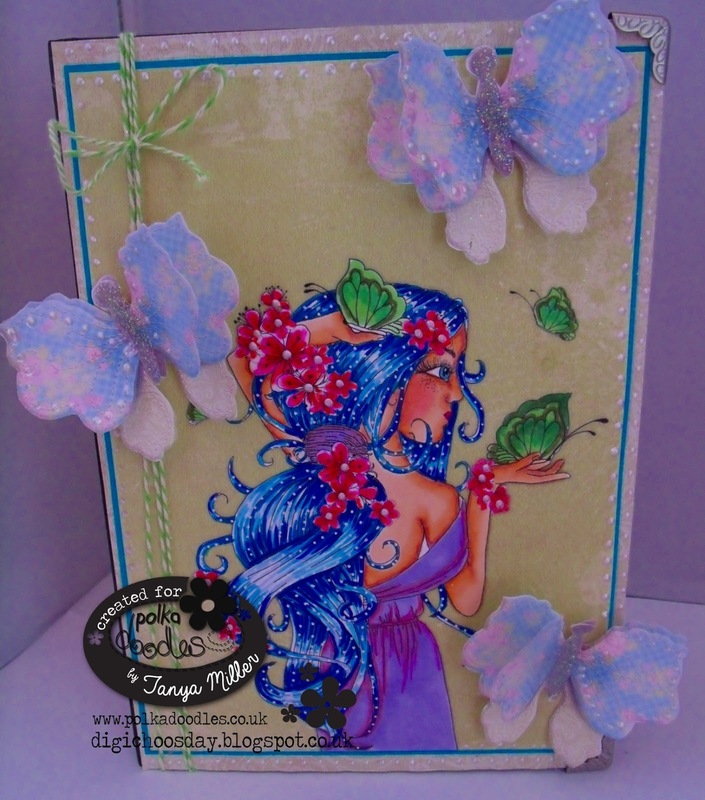 Tanya - After having quite a big break from colouring I’ve been tempted back to it by the lovely Eden Collection and have used Eden Blossoms and have embellished a hard back plain looking note book. I love my stationery and love note books and have quite a few of them, but none are as pretty as this. 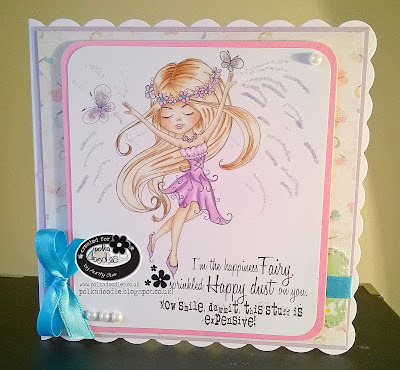 I’ve used the black and white digi and coloured her with Graph It Pens and have used two lots of the papers and some butterflies from the collection and finished off the note book with some twine and glitter and glossy accents and some white Liquid Pearls. Yvonne - Hello! 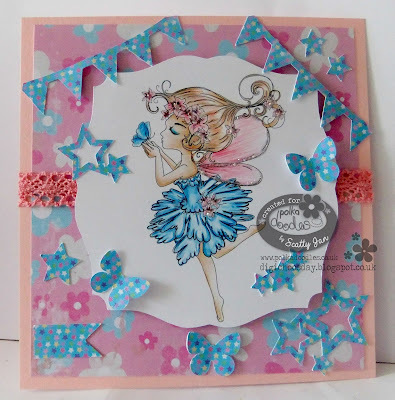 For this weeks make I used Oddella Fairy from the Ickyinks Collection - you can view it here, or get Oddella Fairy here. 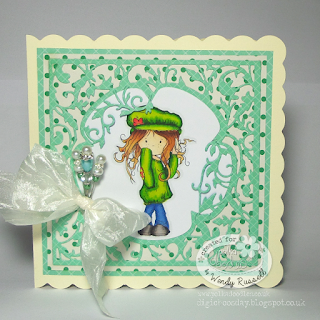 The papers are from the Serenity Collection, you can see the fabby dabby here. I picked these three papers from Bundle 1, which is available as a download in itself. The embellishments are from Octavia Moonfly, you can see the whole range here. 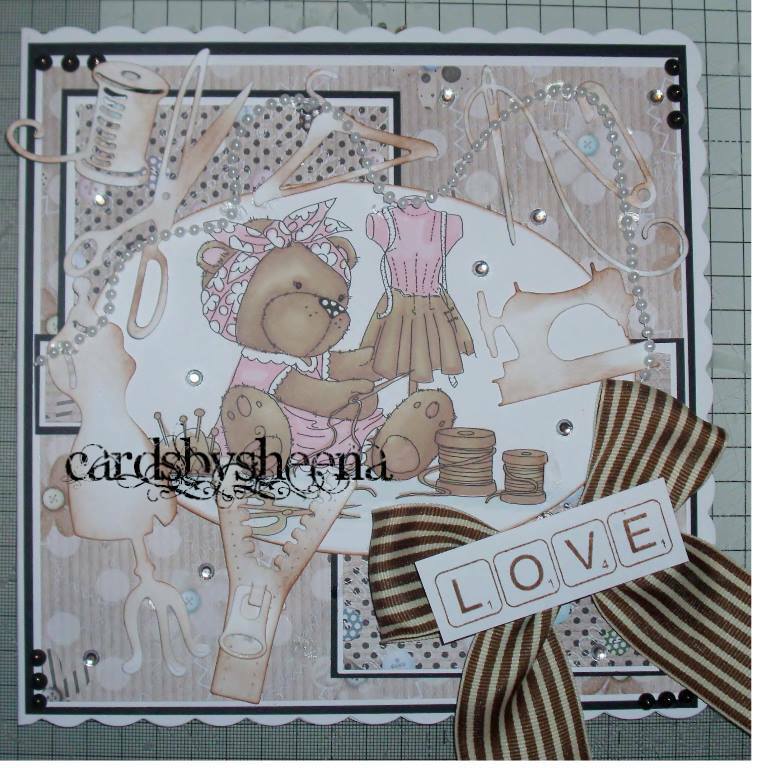 Emma - For my Embellish it card I thought I would do a wedding card as I find these are the best for embellishing. I have used the super gorgeous Bride from the Love & Kisses collection, you can find her Here. All of the papers, embellishments & coach have all come from the full Love & Kisses collection that can be found Here. Please email us at sales@polkadoodles.co.uk quoting DCW028001 to claim your prize of £5 worth of downloads from the digi store!